Toyooka 1925 was established from a concept of the Showa Era to show the dreams of the people back then who built the foundation for the city of Toyooka. 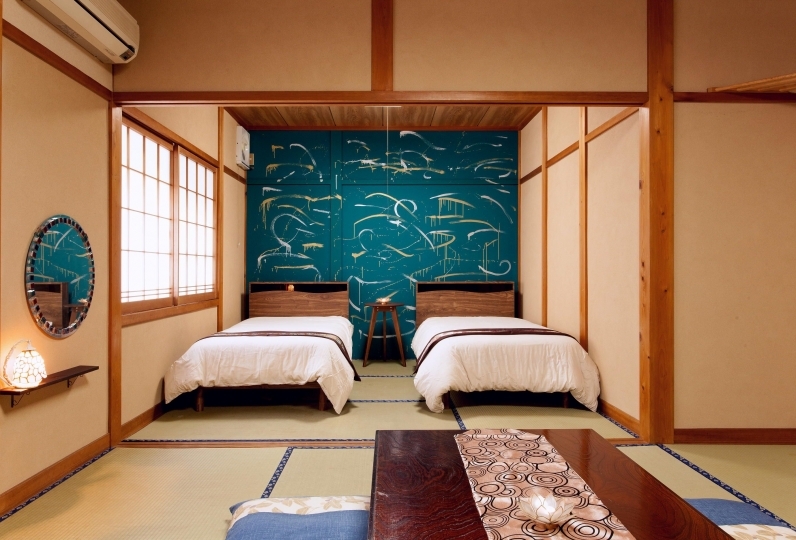 All 5 guest rooms have warm and simple set ups with stylistic cues of the early Showa Era modern architecture. With no television and refrigerators: only then can you appreciate the luxury of taking a short break from the convenience of daily life. Try to look into yourself by going into deep thought on a chair and write a letter to someone you forgot to appreciate or spend the time with thought after thought. 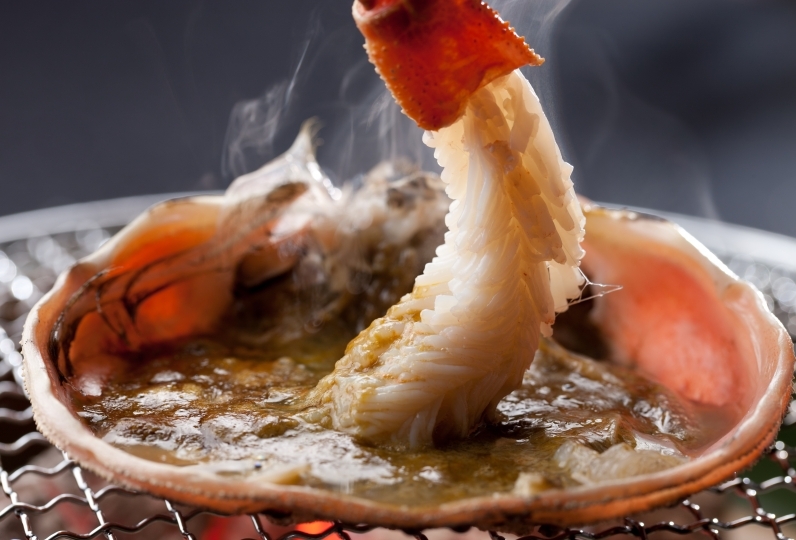 The restaurant features French-style "Tajima cuisine", fusing seasonal Japanese ingredients and seasoning harvested by local farmers and handpicked by a master of French cuisine to create brilliant and detailed dish that can only be possible at Auberge Toyooka 1925. As a symbolic space that depicts the starting point of the city and its dreams of modernity, we welcome you to get off at Toyooka Station, circa 1925. The facilities, atmosphere, staff correspondence, food, everything in the hotel which I stayed for one night on 9th March 8th was very good. The room was colder than I thought, and it was very easy to spend. It was a bar lounge with a drink service, but I thought it might be good to have a menu on how to make a little liquor. (Because you are not good at full-fledged alcohol, you can only drink cocktails and other sweets) Thank you very much for this time! I really like the couple, so I would like to come back again. Thank you for the staff Takahiro Nakao, great service and response. Thank you for the delicious food and service. I ordered a mobile case in the town of the bag and checked in. Dinner enjoyed the best Tajima beef and fish. The burning was excellent and the softness of the beef and the crispness of the sweet potato and the sweetness of the rooster were outstanding. You can read a book slowly in the lounge and enjoy western liquor and coffee. There is only a shower as the bath is a historical building, but there are also retro baths, Imagawa grills and puddings nearby. Sometimes it's good to connect your favorite music from your cell phone in a space without a TV. it&#039;s an old building with only a few rooms, we were the only guests that day. staffs were very nice and servic... Read more it&#039;s an old building with only a few rooms, we were the only guests that day. staffs were very nice and service was good. the dinner and breakfast were terrific. It's an old building with only a few rooms, we were the only guests that day. staffs were very nice and service was good. the dinner and breakfast were terrific. The real thrill of the auberge is the authentic French cuisine made from an award-winning French chef. The cuisine begins with 'Tajima beef' and includes seasonal seafood and fresh vegetables. After you have enjoyed delicious meal and sake, you can enjoy a healthy breakfast the next morning. Have a special experience that can only be experienced at an auberge. All rooms are equipped with shower booths. 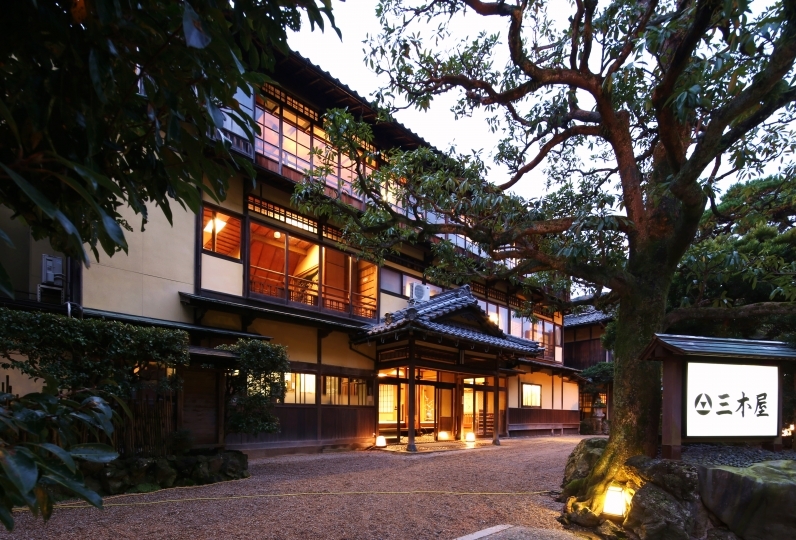 Within the hotel is a the old 'Kyoraku Yu'. 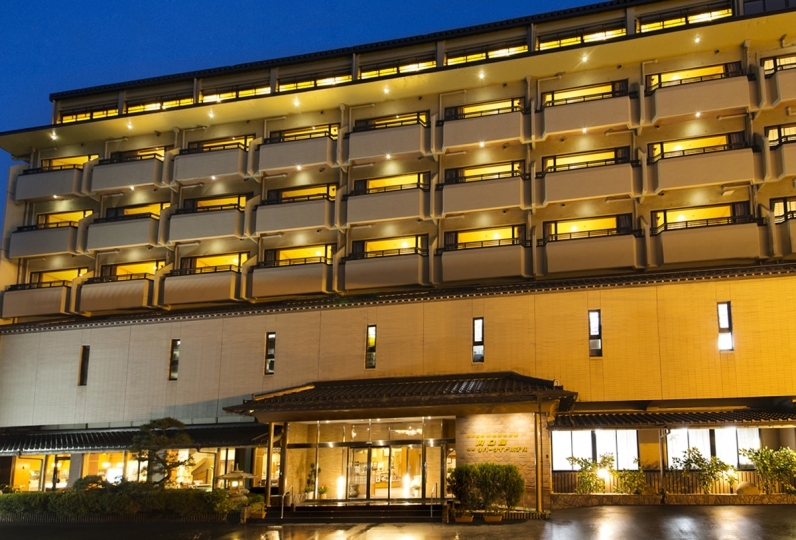 We also offer free transportation to and from Kinosaki Hot Spring (reservation required). We offer organic amenities. The amenities do not use silicone, paraffin wax,and synthetic dye. We offer soft and gentle gowns and towels. After you have enjoyed your meal, please come and relax at the lounge. 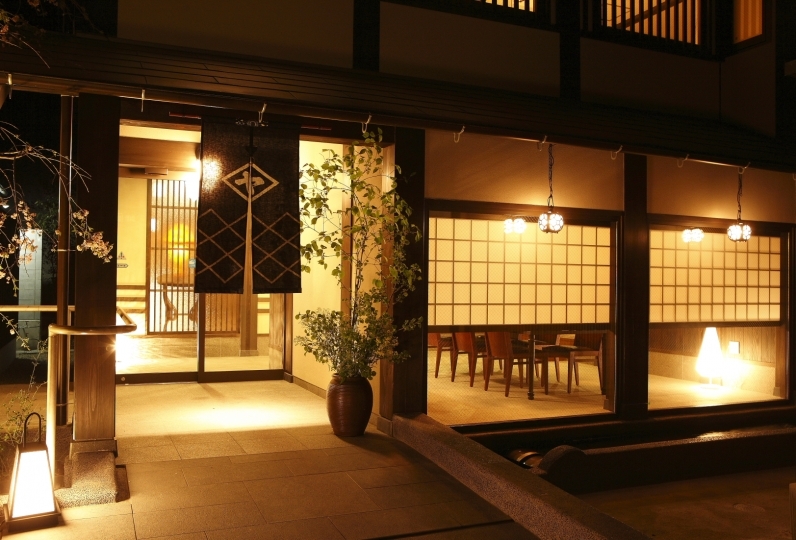 Toyooka and sweets have a deep and long history with one another. Southeast of Toyooka 1925 is a shrine built to the god of candy-making, leading us to set up a showcase featuring candy from across Japan. Toyooka City, the hometown of sweets has a large circular showcase located in the 1F with sweets from all over the country. Before you leave the hotel, purchase some sweets as a souvenir or a treat for yourself. With 500 yen you can go around Tajima conveniently with the Tajimaru bus. There are quaint buildings of the Edo / Meiji era such as stone castle ruins, shingleskuro, Izushi Meiji kan. You can enjoy the streets of a retro historical building. 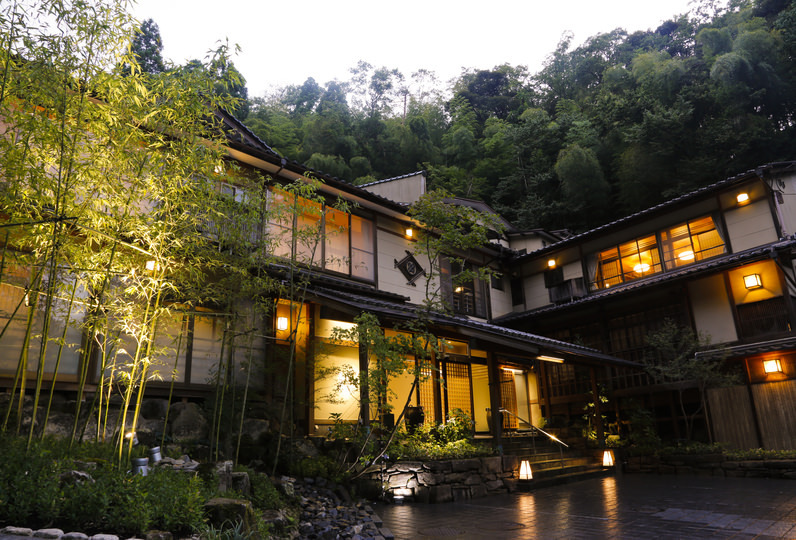 Noriyuki of Kinosaki Onsen will heal your fatigue from playing too hard. One day outdoor hot spring tour tickets over seven outside hot springs are also on sale. Called castle in the sky, also known as Machu Picchu in Japan, it is a spot of attention where people gather from overseas and nationwide to see the fantastic landscape of the sea of clouds that occurs in the early morning of autumn and winter. Alongside Rikuzen "Matsushima" Miyagi prefecture, Aki's "Miyajima", Hayashi Rosan is one of the three Japanese scenes written in the Edo period. There are also many active experiential spots such as skydiving, paragliding and sea kayaking in the surrounding area. ※Because the hotel was previously a bank, insulation and soundproofing may not be completely perfect. ※In order for you to enjoy a day away from the ordinary, we do not have a television or clock set. Please note this before you make your reservation. The new experience for you to blend into the history and culture. 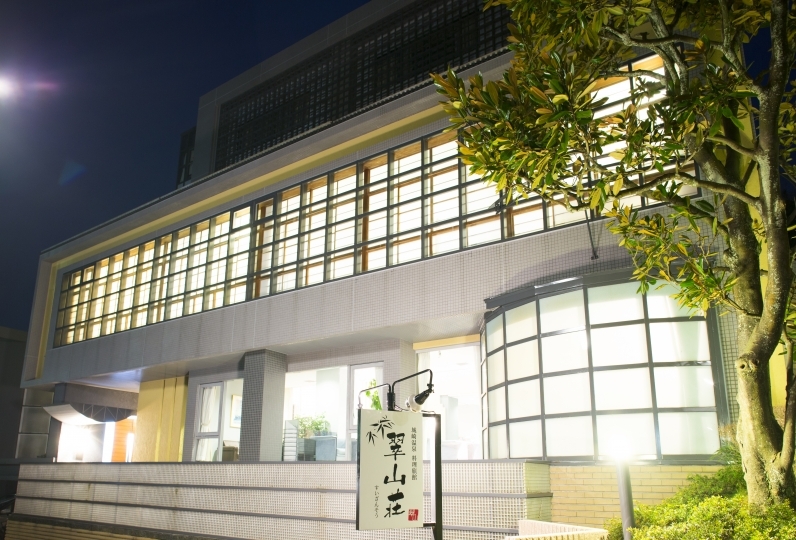 - 8mins walk from JR Toyooka Sta. -165 minutes from Osaka and Kobe.